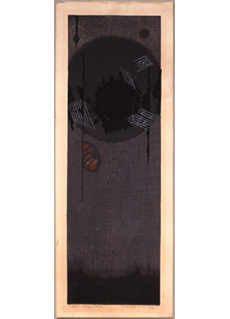 Senju Kannon by Hodaka Yoshida. 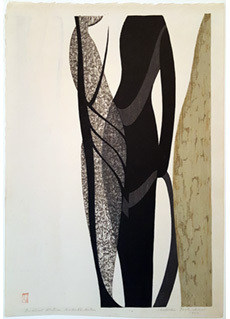 A beautiful abstract depiction of the Goddess of Mercy. 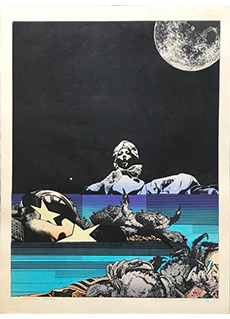 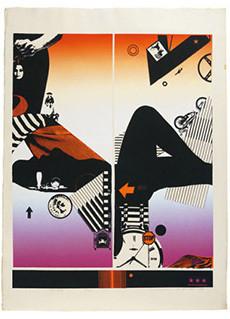 Hodaka uses a contrast of bright colors to offset the darkness of the image. 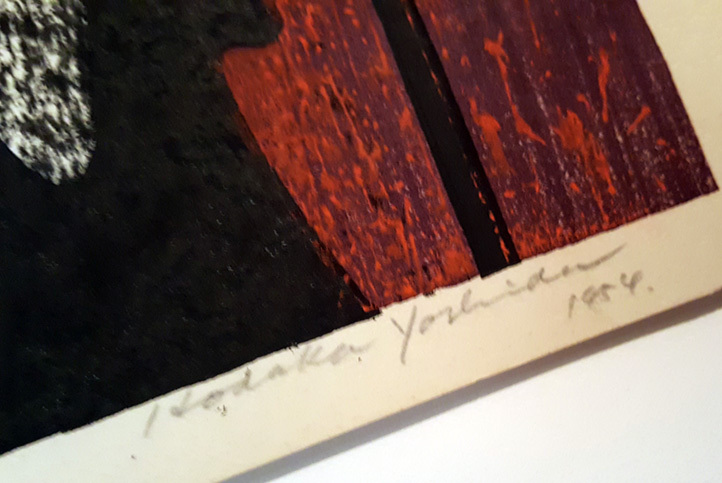 Signed and titled in pencil by the artist. 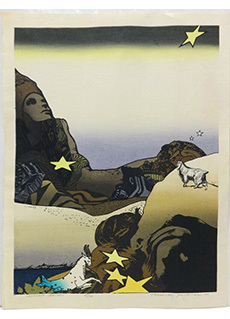 Dated 1954. 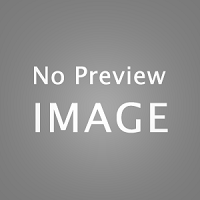 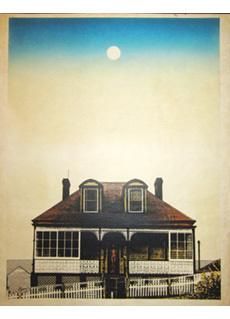 Provenance: Estate of Jane Griffin, Bethesda, MD. 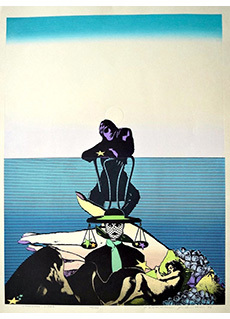 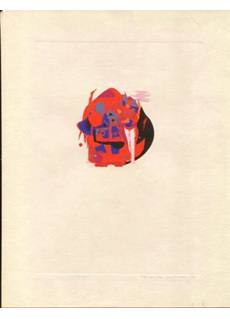 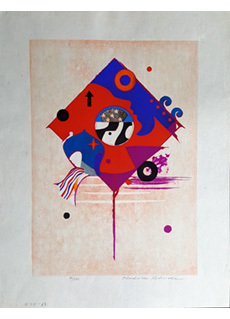 Hodaka Yoshida (Japan, 1926-1995) is known for his modern, surreal, mythological, and abstract prints. 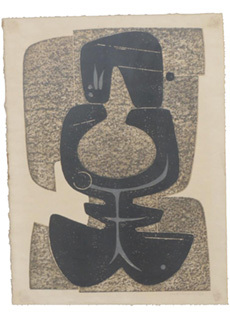 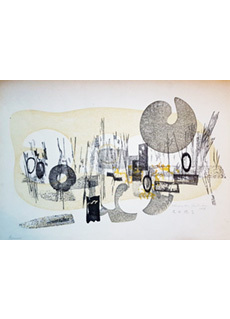 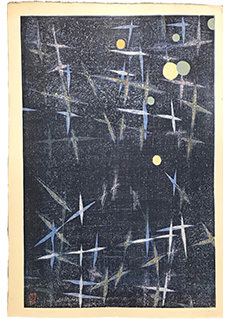 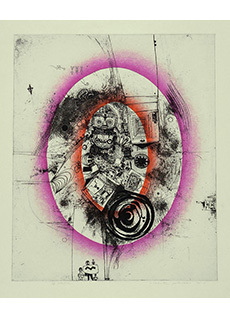 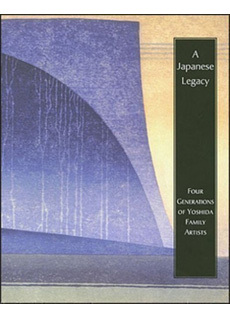 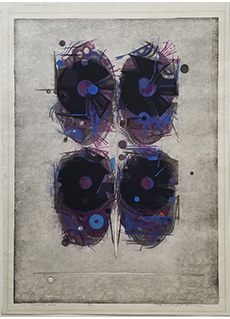 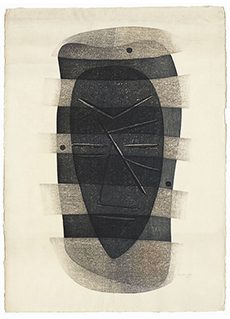 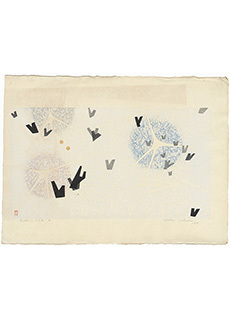 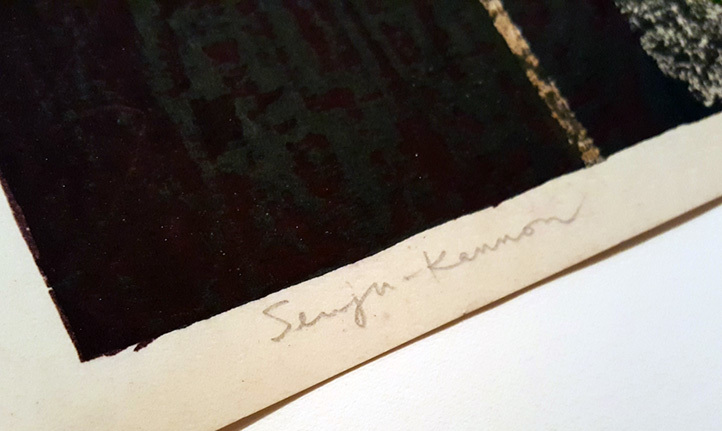 He is also known as a pioneer and leader of early Japanese modernist printmaking. 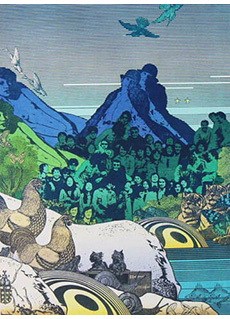 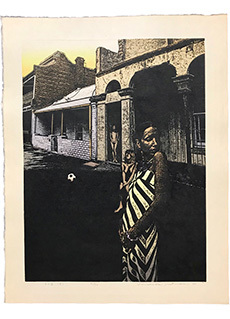 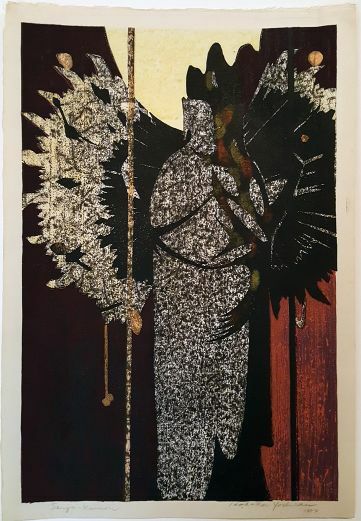 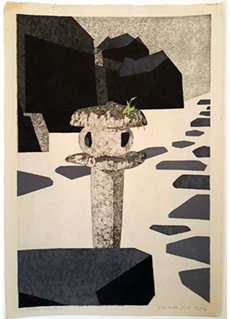 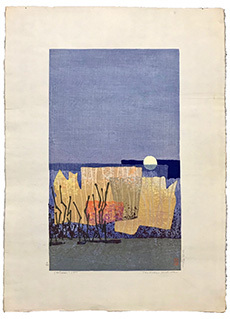 Hodaka broke the mold of traditional Japanese printmaking by promoting self-expression through sōsaku hanga (creative print movement) and broadening the range of once-confined style and technique.